Do you want to watch football in Berlin but don’t know where to go? If you are looking to catch the best games, these places have it all in store for you. Whether searching for a casual location or seeking to join a lively atmosphere after a session with Celebreak, you are bound to find your spot in Berlin here. Since 2008, Hops & Barley has brewed its own beer and has steadily gained wide approval from locals in Berlin. To go along with its speciality beers, Hops & Barley has two projectors for football games from the Bundesliga, the Champions League, and the Europa League. There is also a section in the smoking area where matches for Borussia Mönchengladbach are shown as well. Although a small spot, Hops & Barley has made a name for itself in Berlin and will always draw a crowd when football is on. A more traditional sports bar in Berlin, The PUB- Pilsner Unique Bar, promises a fun and lively culture to sit down and watch football. Taps on the table allow guests to serve their own beer that pairs great with the menu offerings. Football coverage includes all games of the Bundesliga, German teams who are in the Champions League and Europa League, and highlights from the World Cup winning German team in 2014. Since 1912, the Oscar Wilde Irish Pub has grown with the times. 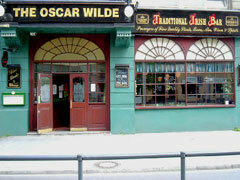 Originally starting off as a dance hall, Oscar Wilde shifted gears to a nightclub and became the first Irish pub to open in the Mitte district of Berlin in 1991. Currently, the pub attracts a variety of locals, tourists, and football fans alike. With two big screen TVs and one smaller TV, you can find the English Premier League, La Liga, Champions League, and many other football events. Check on the Oscar Wilde website to see the schedule of games that will be shown. Situated close to Prenzlauer Berg and Celebreak’s Wedding location, Tante Käthe is a great spot to gather with others for football. Another bar with extensive coverage of Europe’s top leagues, the bar provides four screens and ten kicker tables. You will find yourself surrounded by a passionate fan base; the bar is home to the Berlin Arminia fan club and the Freiburg fan club. The beer garden in the back opens during the summer for a more dynamic environment. 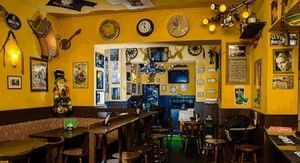 The second Irish bar on the list, Blarney Pub will provide you with an authentic Irish feel while in Berlin. Blarney’s is located near the Bergmannstraße neighborhood, known for its shopping district. Cheap prices off the drink menu make it easy to enhance your watching experience. On the Blarney Pub website, you can find a complete list of games that the bar will cover. They show Bundesliga, English Premier League, Champions League, and even Serie A and La Liga. If you are trying to decide between party and football, why choose one? FC Magnet Bar combines both elements to create an electric atmosphere whenever football is on. Although it started as a club for FC Magnet Mitte, there is no question about the dedication to watching football. Everyone gathers around the three flat screen TVs to watch home leagues and international leagues. Whether a fan of who is playing or not, FC Magnet Bar will make sure you enjoy the match. 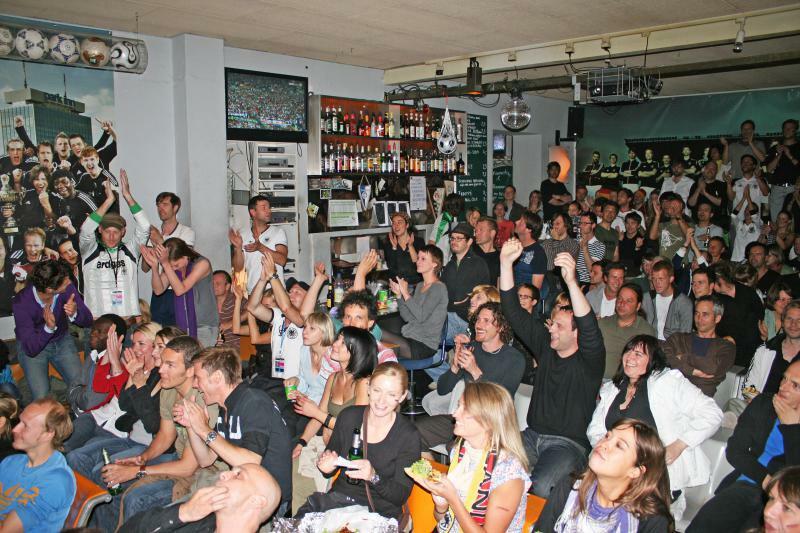 For the best place to watch football in Berlin, Belushi’s Bar takes the top spot. With 13 TVs to go along with a large projector screen, you will not miss a moment of action. Great happy hour drink specials partner well with mouth-watering food options. No one provides the viewing experience that Belushi’s presents to its guests. Do you want to play football instead of watching?